Me oh my! What a wonderful treat I had when I attended blogger and author Sharon Santoni’s talk today at the High Hampton Inn in Cashiers, North Carolina. She spoke on two topics: her recent book My Stylish French Girlfriends and arranging flowers—and her enthusiasm and elegant style inspired us all. Sharon has an ease that makes people believe that they can try something new and exciting—and her British accent helps the cause. Earlier that morning she had gathered flowers from local gardens, and she used those flowers to demonstrate how to assemble lovely, natural arrangements in multiple silver containers for simple but elegant dinners. Sharon also gave us insight into how she found her lovely French farm house…and a few lessons on working with real estate agents in France (who apparently have a bit more complicated way of finding the perfect home for the buyer). I have a little stylish gift for some lucky reader today—an autographed copy of Sharon’s book. All you have to do is leave a comment below, and for another chance to win, post it on your Facebook, Instagram or Twitter feed (make sure to let me know you did it). How easy is that! You have until midnight on Wednesday July 13th to enter. I will announce the winner on Friday July, 15th. Good Luck! Me, me, me! I would love an autographed copy of Santoni’s book! I have heard her book was wonderful and would love to win! We have a copy of her book and LOVE so no winning for us! What a treat to get to hear her speak and see her work her magic! Love to have a copy of this lovely book! Thanks for picking me as a winner! That sounds like it was so fun! It was great fun—may need a trip to France. I throughly enjoy your blog. The book would be a great win! Sherri, Thank you so very much! I love to hear that the blog brings a little happiness into your day! Hi Lissy missed the flower Demo and talk with Sharon Santoni. I know it was wonderful and you will have to fill me in. 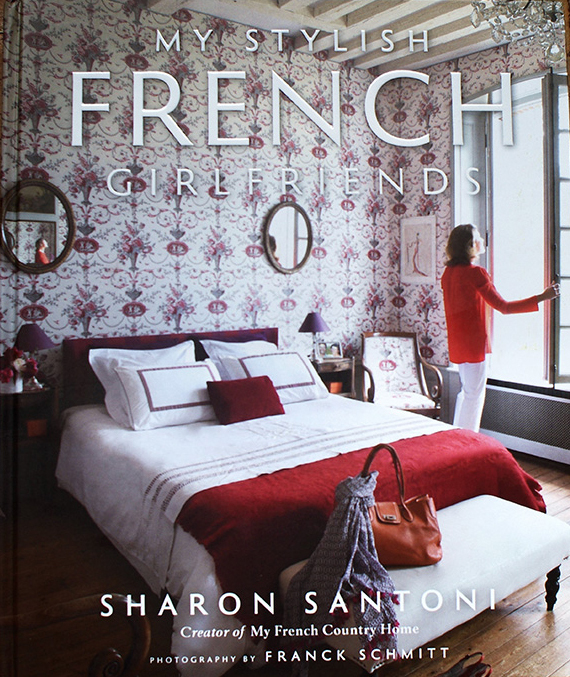 Don’t have the book my Stylish French Girl Friends it looks great! Thank you for the giveaway! One more thing I posted on Face Book. I missed the talk and floral arranging with Sharon Santoni. I am sure it was wonderful. You will have to fill me in. I also posted on face book. Thank you for the wonderful giveaway and I don’t have the book My Stylish French Girlfriends. I am sure it is great! Teresa, What a wonderful idea to read about one girlfriend every night. This could be just the inspiration we all need. Would love to win that book! I love this! Especially since I just got back from France where I stayed at a chateau and enjoyed the countryside. Can’t wait to get Sharon’s book! Thanks for the chance…Happy Day! I have followed Sharon for quite some time on her blog. She has such style. Moving Wednesday to a home on a lake in Douglasville. Using many of the colors you helped me pick 15 years ago when we moved to our home in Mableton. Miss seeing you.